Make your English language learning goals a reality at English from A to Z! Improve your ability to communicate well in the English language. Develop your professional skills for business or deepen your cultural understanding of the English-speaking world. Work with TEFL certified and qualified ESL teachers with years of experience who can help you succeed. Become proficient whether it’s in grammar, listening, reading, vocabulary, or writing. Choose from private lessons, group classes, or online courses to achieve your learning goals. "The class was very good. Ben is very patient and a good teacher. He teaches me what I want to learn. I feel that these classes will be good for my English language development." Watch our introductory video below to learn more about our mission at English from A to Z. Sign up for our mailing list to receive more information about English from A to Z! Thank you for visiting English from A to Z! 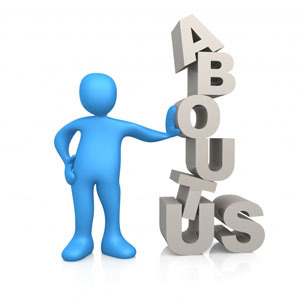 We will get back to you as soon as we can regarding your interest in our website. Trial: If you are looking to improve your English but aren't sure what level proficiency you are or if you're not sure you want to sign-up for a full hour lesson, English from A to Z is offering a 30 minute trial lesson. We are currently offering a 20% discount on the original price of $10 so you will be getting a great price for a great service. If you like your trial lesson and want to sign-up for more lessons, the instructor will make sure to let you know which level of proficiency you currently show. Consider purchasing a trial lesson today to learn English at your own pace without breaking the bank. Note - Each private trial lesson is for thirty minutes only through Skype, Google Hangouts, or another outlet as to be agreed upon between the instructor and the student beforehand. The lesson time and date must also be confirmed ahead of time to avoid any confusion regarding the transaction. Find out about our business objectives, our mission, our methods, and the vision we have in bringing you both quality English language content and teacher instruction to students from around the world. Currently, English from A to Z is offering five online courses that you can purchase that focus on different English topics such as Writing in English, Business English, and English grammar at the beginning, intermediate, and advanced levels. Online Courses: The whole catalog is now available! Are you ready to take the next step in your English proficiency? You can check out our extensive list of online private lessons and group classes. From TOEFL Preparation to English for Traveling, we cover any English topic from A to Z in both our private lesson and group class offerings for our English as a Second Language students. If you're looking to improve your English language skills with a certified English teacher, consider enrolling in a private lesson. Try them now for $10 per hour! The English from A to Z blog is updated biweekly to highlight different topics in the English language whether its' grammar, writing, speaking, vocabulary, etc. You can check out our free blog below.